An elaborate and ambitious science fiction adventure grounded in science fact, Interstellar tackles no less than the survival of the human race in a story about explorers desperately searching for alternative life-sustaining planets. In the near future, Earth is suffering through a devastating drought. Dust bowls have created "the blight", almost all crops have been destroyed, only corn can be grown, and farming is again the one occupation that matters. Former NASA pilot Cooper (Matthew McConaughey) is trying to hold his family together, particularly young daughter Murph (Mackenzie Foy), who is hard-headed and strongly attached to her Dad. Mysterious gravitational signals lead Cooper and Murphy to NASA's secretive headquarters, where Professor Brand (Michael Caine) is the brain behind a series of missions to explore planets that can serve as a potential new home for humanity. A wormhole apparently placed by superior alien beings has appeared near Saturn and is providing a shortcut to another galaxy, and individual astronauts have already landed on several promising planets, although communication back through the wormhole is garbled and limited. Brand recruits Cooper to lead a mission to visit the three most promising planets and report back. In the meantime Brand continues to work on solving the intractable problem of how to transport billions of humans to a distant planet, should one prove to be livable. Murph is inconsolable that her Dad is leaving her behind and embarking on a seemingly impossible journey, but Cooper nevertheless joins Brand's daughter Amelia (Anne Hathaway) and two other astronauts as they travel through the wormhole and start the tour of three candidate planets. 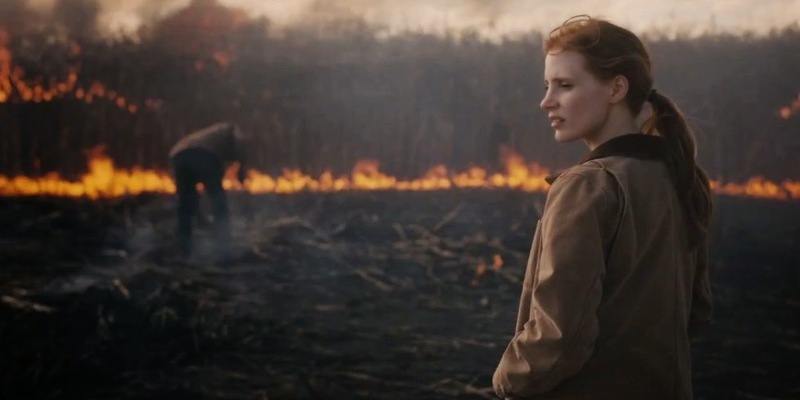 Relativity means that the years pass much more slowly for the space travellers, and back on earth Murph (Jessica Chastain) grows up to join Professor Brand's team, as time runs out and humanity's fate hangs in the balance. From the mind of director Christopher Nolan, who also co-wrote the script with his brother Jonathan, Interstellar is probably the most thought-provoking and visionary science fiction film since Stanley Kubrick's 2001: A Space Odyssey. Nolan sets out to apply the best known facts and theories about space travel into a credible narrative, and delivers a story that expands the looming threat of destructive climate-driven change into a desperate and existential quest for an alternative home planet. 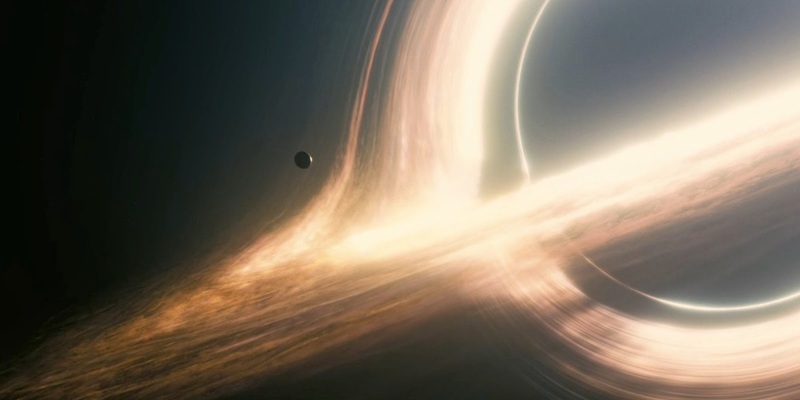 For most of its 169 minutes, Interstellar is a visual feast. Whether on a barren earth covered with choking dust, or out in space as the astronauts swing by Saturn, travel through the wormhole, snuggle up to a black hole and then land on the surfaces of planets filled with either hope or death, Nolan offers up a spectacular set of rich and memorable images. Less impressive is the soundtrack by Hans Zimmer, which falls short of the intended soul-stirring impact but nevertheless drowns out too much of the low-key dialogue. 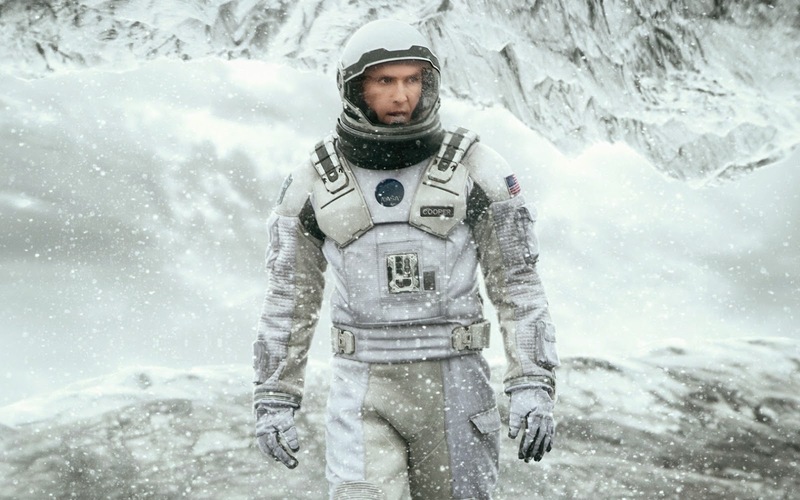 Unlike Kubrick's masterpiece, Nolan attempts to keep Interstellar grounded in events back home, and the central relationship between Cooper and Murph is intended as the emotional core of the film. In trying to wrap his film around an enormous span extending from an affecting father-daughter bond to wormholes, black holes, relativity and multiple hostile planets, Nolan overreaches. The drama between the absentee father and his emotionally abandoned and deeply resentful daughter rarely connects. When it does, it is thanks to McConaughey's deeply felt performance. The film's most impressive human moment by far is a simple close-up of Cooper's face, light years away from Earth, as he watches a grainy video from home. Caine and Chastain provide steady support, while John Lithgow, Casey Affleck and Ellen Burstyn enhance the cast depth. Matt Damon makes an unexpected appearance, demonstrating the human frailties that will continue to threaten the existence of the species. The final 30 minutes of Interstellar unravel rather quickly. There is just too much happening too quickly, with rudimentary Morse code, book ciphers and the complexities of gravity, time travel and the eternal power of love as unleashed by black holes colliding into a muddle. One character is reduced to running down hallways throwing sheets of scientific papers into the air in a high school level demonstration of happiness. In the context of a movie approaching three hours, it is inexcusable to rush an ending that is neither abstract nor properly elucidated. But Interstellar is a gem in other ways. It is a thrilling journey into what might be possible, and what may become a terrifying necessity.